Product Management Night is a local product management event where all members of the community are invited to join for an evening of exchange, knowledge and learnings. All participants who book their tickets will receive a voucher code from UBER for their first ride in the app (up to CHF20). 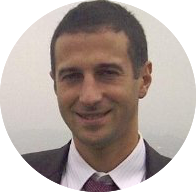 Roberto Borroni is a Senior Product Line Manager working in the Content and Asset Security Product Unit of NAGRA, part of Kudelski Group. During his 4 years in the Company he has managed products ensuring the security of content offered by Pay Television service providers worldwide. Prior to this and to moving to Switzerland, he worked for the leader private television in Italy, Mediaset, contributing to the launch of a new Pay TV service, first through implementation of final users devices and experience, and later managing Technology and Operations. He started his career into the Digital Media industry after a MS in Telecommunications. Nicolas Sierro is Product & Project Manager at EverdreamSoft. He has international projects experience in marketing, technical and operation activities for startups (e.g. 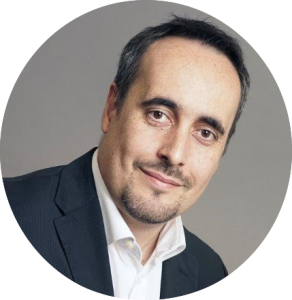 Echovox/Zong sold to PayPal/Ebay, GoSwiff, zip.ch) and for big companies such as ABB, City of Zurich, Deutsche Telekom, Orange France telecom, Peugeot, Swisscom, 1&1, TCS, and Swiss national TVs.His last 20 years are devoted to craft digital new services and business models. Lately he followed blockchain initiatives, and tested them with focus on the user experience … and barriers. He joined EverdreamSoft last year, fully convinced of the power of true ownership of digital assets, enabled by blockchain based token.